After almost 20 years of developing world-class solutions for airlines and travel agencies, we have decided to use our experience and help you, corporate travellers. We know how stressful and complex the corporate travel can be. And we want you to focus on what’s really important to you – your own business. Let us take care of all the rest, including definitions of a travel policy, robust approval process, rich content of products or spot-on reporting. efficiency and robustness of your corporate travel. Over the past ten years the travel market trends have changed like never before – and likewise have the customer expectations. Tough competition led the long established legacy brands to either restructure their product offerings, or to rebrand entirely so they can keep up. 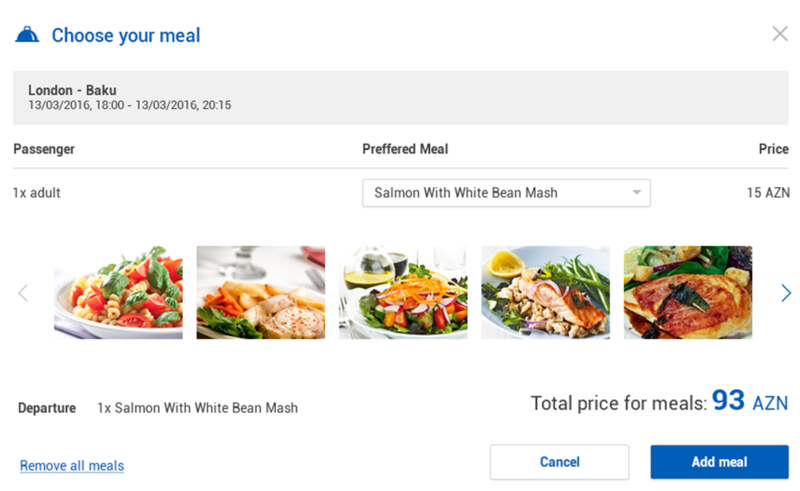 Ten years ago every customer in economy cabin ate the same meal, had the same baggage allowance – not today. Pre-ordered gourmet meals, pre-assigned preferred seats, extra checked baggage allowance, lounge access, airport parking, travel insurance – it’s your choice to either treat yourself with all the perks, or to stay on budget. By working with wide range of suppliers and different products being consolidated within a single platform, Symphony.Corporate allows you to define your truly individual content. With more than 1,100 traditional carriers and over 140 low cost carriers in our portfolio, we can bring your employees to literally any corner of the world. Thanks to sophisticated filtering options you can easily narrow your search by preferred departure, arrival and transfer times, or perhaps a particular airline or airline alliance. Reflecting your travel policy, easy to understand icons will show you whether the particular offer sits within our outside the travel policy. Likewise, a dedicated icon will inform your staff about a corporate fare or corporate loyalty scheme membership – so you’re not missing any rewards. Or perhaps you want to decide based on the airline´s CO2 burn, so you’re on track with your CSR initiatives. Undoubtedly the current biggest trend in the commercial aviation, even customers of the traditional airlines need to buy the extra services at an additional cost, and thus create a truly individual travel experience. Symphony.Corporate offers your staff the same user and booking experience and range of products as when booking through the airline’s own website – including additional bags, preferred seats, gourmet meals or airport lounges. And to go even a step further we have incorporate a special logic to recongnize your frequent flyer tier level – and perhaps offer you some ancillary products for free. With the latest trend of even business travelers using new types of accommodation, the traditional hotel business is currently the most challenging one in the travel industry as a whole. By not relying on a single hotel accommodation provider and sophisticated search and filtering logic, we can help you to cherry-pick the best offers across the globe. All offers come with a quality description and photography of the property and services included and official star rating. And to speed everything up, why not to store your favorite hotel locations or even hotel property codes in your travel policy for a particular destination? So you don´t need to browse through hundreds of offers and can book your preferred suppliers straight away? With each customer having completely different needs and drivers, we let you to set-up your travel policy exactly how you want – from none to an extremely sophisticated one, including different rules and exceptions for specific departments, cost centers or even individuals. Working with a rich content, you can define a specific policy for each of the products independently – for traditional airlines, low cost carriers, hotels and many more. So your employees know straight away whether the chosen product is IN or OUT OF THE POLICY. Or perhaps you don’t want to show the out of policy offers at all. Not a problem, this is just another click away. Working with both, traditional and low cost carriers, you can define list of your preferred airlines, set-up your agreed corporate rates, maximum class of travel or even corporate loyalty memberships. Should you want to go even further, you can define exceptions of when the standard rules should not apply – like allowing your staff to travel in a higher cabin on a longer flights or on a specific carriers and routing. With more than 200,000 hotels in the world and new being built every few weeks, it’s literally impossible to keep up. Working with number of independent hotel aggregators we can capture wide range of offers and narrow those down in line with your individual preference – from a star rating, maximum cost per room and night down to a preferred location or even the property code. Moreover, can you customize your settings by a destination – why not to treat your staff to a higher hotel category when a destination comes with some incredibly low fares? Having considered all possible scenarios and various business needs when designing our solution, you can set-up the approval process anyhow you want and need – from automatic approval of all offers within the travel policy or low cost carriers to an extremely sophisticated nine level manual approval process. In order to protect your travel budget, the person in charge can always see not just the actual price and travel policy status of the products booked but also the lowest applicable price that could have been booked– so nobody can find an excuse of not booking the cheapest option. Once approved, our back-office processes will take care of all the rest, issue all the travel documents and vouchers automatically. So you can be on your way in a matter of minutes. No approval process at all (ea. all orders being approved automatically). Automated approval for IN-POLICY orders, manual approval required for OUT OF POLICY orders. Manual approval required for all orders, regardless of the Travel Policy status, with option to book OUT OF POLICY offers. Manual approver required for all order with option to book IN-POLICY offers only. Depending on the size of your organization we support the following roles. Each comes with an individual User Profile to store all the essential personal information – from name, date of birth, nationality, frequent flyer cards to a cost center code. Additionally, each role can define up to eight additional travel companions. User – basic role allowing book and see trips for those individuals stored in the profile. Guest User – similar to the User role, this allows to create individual trips only and apply a dedicated travel policy for non-core company staff. Travel Arranger – an advanced role allowing to book on behalf of other users by remotely accessing their profile and respective travel policy. Only those individual´s trips booked by the Travel Arranger can be seen from his profile. Travel Manager – an advanced role allowed to access and update any individual profile within the dedicated group of user profiles (e.g. on a departmental level), as well as creating new individual profiles with the same of lower access level. Additionally, Travel Manager does have the right to approve trips, if chosen for the respective approval level. Profile Manager – highest role in the company hierarchy allowed to access and to update any individual profile across the whole company, as well as creating new individual profiles with any access level. Additionally, Travel Manager does have the right to approve trips, if chosen for the respective approval level. Quality data analysis is the key to continuous performance improvement. That´s why we store all the data processed for you. And create a number of easy to understand and high efficient reports, so you can review whether your travel policy is the right one and is being adhered to.